I’m not going to lie. 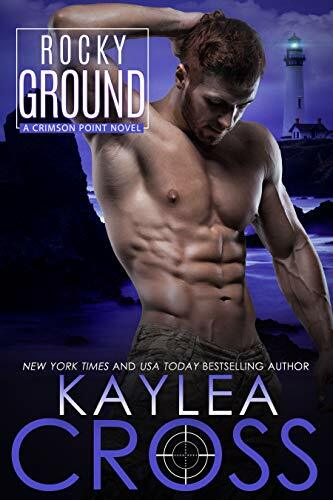 After reading Shattered Vows, book 3 in the Crimson Point series, I needed more Aidan MacIntyre in my life, ASAP. I made grabby hands for book four. He made such an impression on me and so did Tiana and her adorable daughter Ella. Tiana has been badly burned before and she gives Mac (Aiden) the cold shoulder when he expresses his interest in her. Mac isn’t going to let that stop him. While he’s willing to step back and try to be friend’s to her and Ella, that spark of interest doesn’t go away and he’s a hard guy to resist, especially with the Scottish brogue. Yum. He’s also not going to make it easy for her to resist him, cuddling newborn kittens and feeding them. It’s hard not to sympathize with Tiana and everything she’s been going through. One disastrous relationship after the next and a childhood straight out of a horror movie. Her wariness is warranted. Especially now that’s Ella’s father has decided that he wants to be part of her life after abandoning them before she was born. Not to mention a current ex that is determined to make their life hell. But when her aunt sees how Aiden is with both Ella and Tiana, she sets her straight very quickly and Tiana opens up to Aiden about her fears. Especially since getting close to him also means losing him. His work Visa is up and he will have to go back home soon. She looked up at him again. God, he was beautiful. And strong. And brave. He was also going to rip her heart out when he left. It wasn’t easy to voice her insecurities aloud, but she felt comfortable with him. Close to him in a way she’d never felt with another man. “Of making another mistake. Of getting my heart broken again,” she whispered. He cupped the side of her face to run his thumb over her cheekbone. “I’ll not hurt you, lass.” Her insides squeezed at the tenderness in his voice, the yearning in his eyes. No, he wouldn’t hurt her intentionally. “But you’re leaving soon. In another few weeks.” That was going to leave a scar, no matter how gently the cut was made. Filled with action, mystery, suspense, romance and a Scottish brogue, I loved every bit of this book and can’t wait for more!